HELSINKI, Finland – I am pleased to announce that I am finally ready to reveal my new artist’s website. Apart from the professional help of Maris Prindulis I couldn’t have done it. He helped me think through my purpose, strategy, design and a thousand other relevant matters. 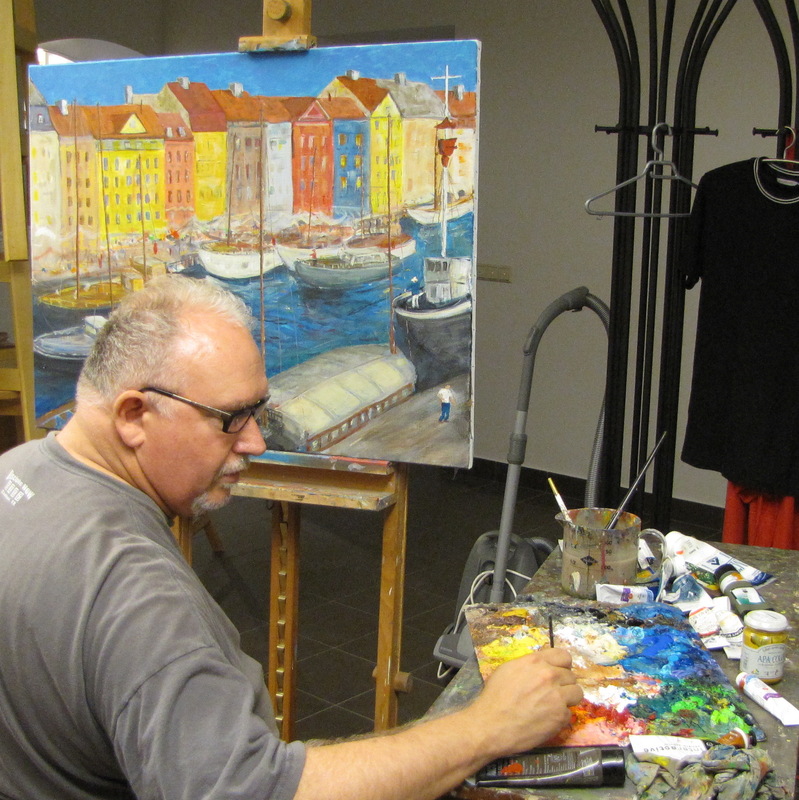 Having started at age 50, I have been painting for about 13 years. Over the years, as all artists must do, I have a developed a certain “voice” that characterizes my work. I adore color – vibrant color. It simply speaks to me…and, perhaps, through me. I have noticed that blue is my favorite color. I’ve always thought so, but after 400 paintings, any trace of doubt has been removed. I love all kinds of blues including turquoise and dark green blue and the deepest of blues that live in shadows. I’m a “Big Picture” kind of guy. I know details are important but when I focus on them the overall impact is diminished or even destroyed. This doesn’t only apply to my art, but to many areas of my life. Of course, I can’t simply ignore them and survive! I paint paintings, not objects or vistas; my paintings never look like photographs. Before I began to study painting I believed that paintings were good or bad based on how closely they could be compared to a photo. But I’ve since learned that photos can capture a certain concrete kind of reality. My job is to capture feeling and attitude while considering that same object. I never know if a painting is going to be successful. For that matter, who determines whether or not it is successful? Through the years some pieces that I thought were losers sold quickly, while others remain ignored year after year. Beauty may be in the eye of the beholder, but so is impact. I love painting skylines. I supposed this love began when I first painted Riga’s skyline with Latvian master, Aleksejs Naumovs. I watched and imitated him. And I loved the result. So, I made another and gave it to my mother, and more and gave them to friends. Then people began to buy them and now, whenever I paint a Riga skyline it is snatched up quickly. This website shows sections of skylines, of Latvia, Europe and America. I hope you enjoy. Perhaps you would like me to paint the skyline of where you live? This site welcomes you into a variety of colorful paintings, including florals which I love painting, and still life works, which actually also can communicate life and vibrancy. Perhaps you need a specific painting for a specific place, like your office, conference room, living room or bedroom. Check out my Imagine section. And if you already have one of my pieces in one of your rooms, send me a photo of it on your wall and I will feature it in this section. Make sure to include yourself! So, welcome to my artist site. Pour a cup of coffee. Have a seat, peruse and enjoy. And, don’t hesitate to contact me.